The stunning double Quad HD OLED displays, each with resolution and pixel density higher than the new iPhone X Super Retina display, offer an unseen level of realism and detail. 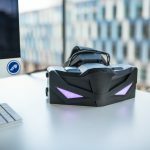 PRESS RELEASE: Prague, Czech Republic / Los Angeles, USA (Nov 29, 2017): VRgineers just launched the VRHero 5K Plus – a new version of its high-resolution enterprise-grade VR headset for professionals featuring stunning high-density OLED displays featuring higher resolution and pixel density than the iPhone X’s Super Retina displays. The resulting level of image quality and realism is superior to anything seen in virtual reality to date. The crisp 5K resolution and full 24bit RGB colors, together with the unique custom-built optics and 170 degrees FOV, give the VRHero 5K Plus, according to analysts, the most true-to-life image in VR to date. “The level of lighting realism is fantastic. 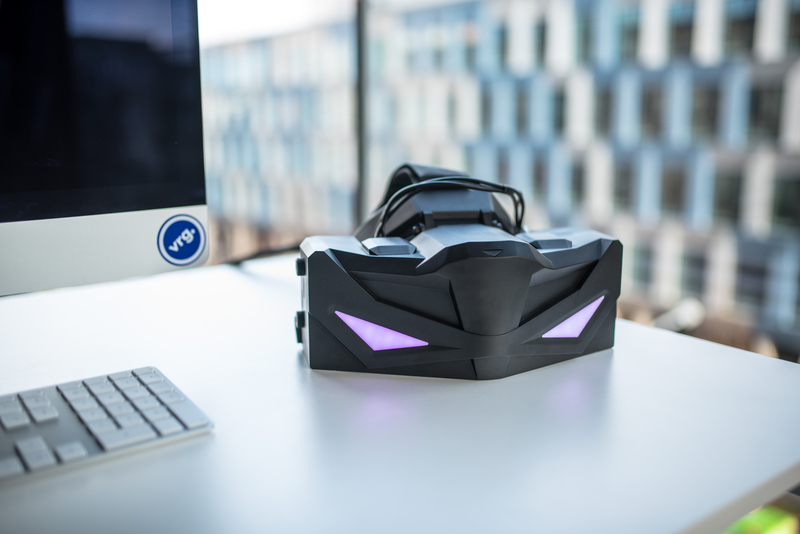 We´re really getting there now in terms of the resolution and the level of realism you can have in the model,” Paul Jackson, Principal Analyst at OVUM, commented when testing the VRHero 5K. This is particularly important for professionals like designers, engineers, and architects. 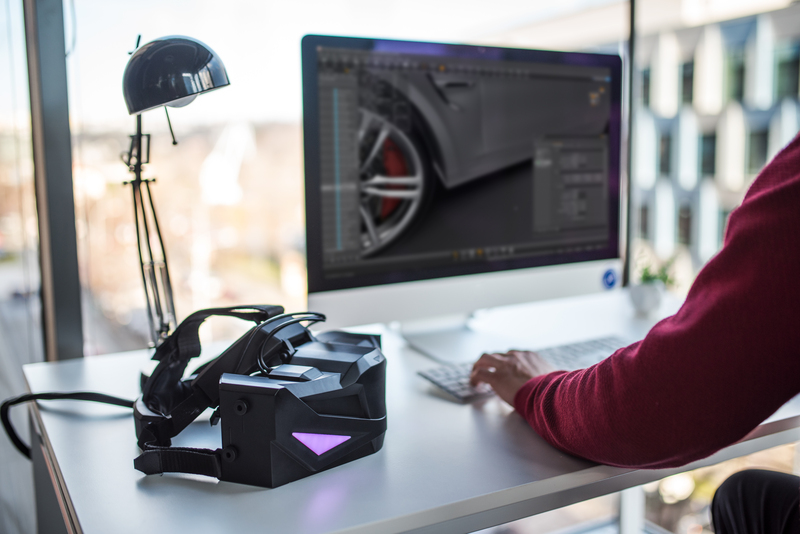 The VRHero 5K Plus allows them to see reality before it actually happens in the physical world; a true-to-life virtual representation of the future product they are creating portrayed down to the smallest details, realistic materials, proportions, and lightning. “Virtual and mixed reality, as well as immersive computing, will undoubtedly cause a revolution in the way we work across all industries. 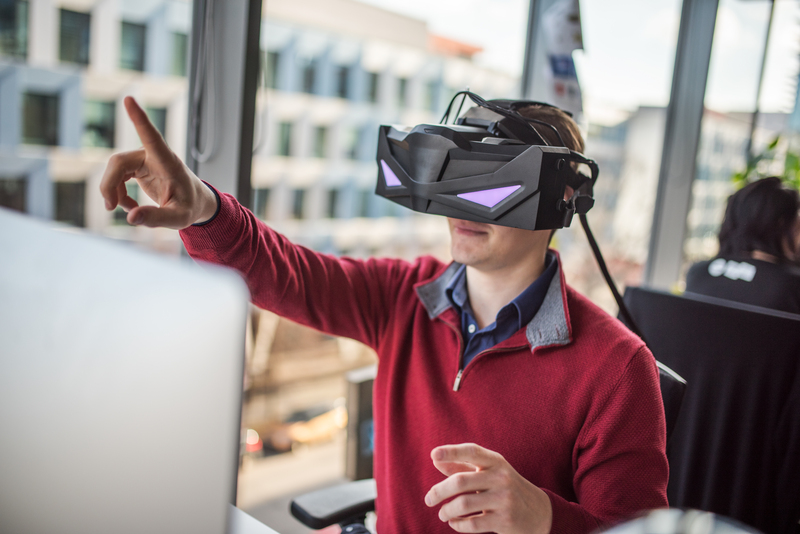 VRgineers’ mission is to empower these innovative professionals who blaze the trail with cutting-edge VR gear, and together we will push enterprise VR forward,” VRgineers co-founder Martin Holecko said. 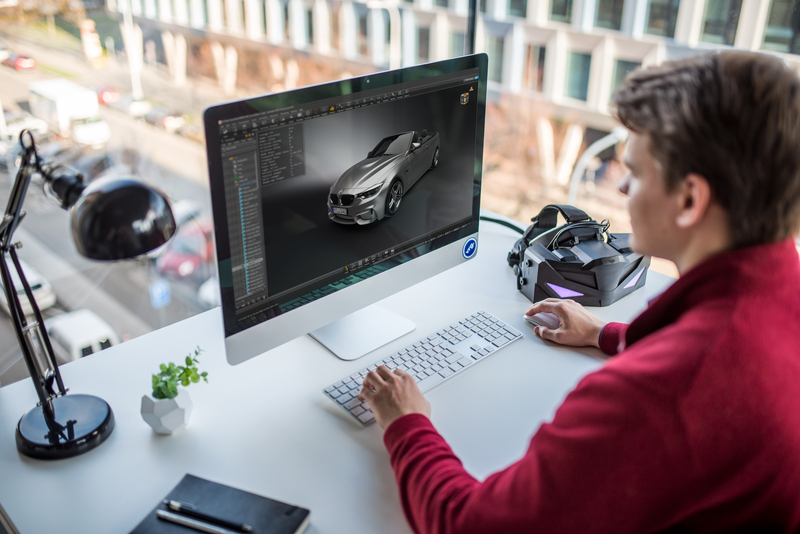 VRHero 5K Plus is built on the VRHero Platform used by automotive designers in companies like BMW, Audi, and Volkswagen for design validation and evaluation, allowing them to accelerate the development of new prototypes. The unparalleled image quality also lets pilots experience a realistic cockpit environment and gives architects the opportunity to fine-tune future buildings. “As automotive designers, we´ve been waiting for someone to come up with [VR] technology that actually works. 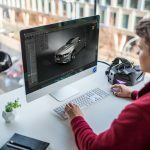 VRHero brings us closer to the future of design engineering,” said Otto Fabri, former lead design engineer at Tesla and Faraday Future, who worked on Tesla’s Model S and Model X. “The new fast, high-resolution, high-density OLED displays used in VRHero 5K Plus—the first OLEDs to meet our high standards for image quality—deliver a much smoother, more dynamic VR experience than ever before while not compromising on the crystal-clear image VRHero 5K is known for,” Marek Polcak, CEO and co-founder of VRgineers said. The display improvements include latency reduction, low persistence, faster color switching, and better blacks. While the acclaimed new iPhone X Super Retina 5.8” OLED display has 2436-by-1125-pixel resolution with 2.7 megapixels at 458 ppi, VRHero 5K Plus goes even further. Each of the two OLED displays used, one per each eye, is a 5.7” Quad HD 2560-by-1440-pixel display with 3.7 megapixels—almost double the number of HDTV—and 518 ppi. This means VRHero 5K Plus displays have almost 40% more pixels squeezed into a smaller space, providing a level of detail unparalleled in VR headsets on the market. The performance is further improved by official support of NVIDIA VRWorks, NVIDIA’s performance-boosting framework for HMD developers through functions like Direct Mode, Single Pass Stereo, and Lens Matched Shading. On the user comfort side, VRHero 5K Plus comes with an improved, more comfortable, and durable head strap that can either be an easy-on/easy-off strap for showcase purposes (showrooms, POS etc.) or for long-term daily use. VRHero 5K Plus starts selling today with pre-orders from current VRgineers customers shipping in December and new orders in Q1 2018. Leap Motion Hand-Tracking – A clip-on for Leap Motion hand-tracking sensors allowing users to interact with the virtual scene with bare hands. Professional Motion Tracking by Advanced Realtime Tracking (ART), the de facto industry standard in precision tracking technology that provides scalable and flexible systems from small to large-scale scenarios. Optitrack – Optical tracking system by Optitrack. Lighthouse tracking incl. HTC VIVE Controllers – With HTC VIVE tracker, the headset can be used with the popular tracking system and controllers. Many professional software integrations like Autodesk VRED, MoreViz, ESI IC.IDO, etc. 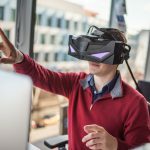 VRgineers, Inc., is a virtual reality engineering company developing and manufacturing cutting-edge enterprise-grade VR gear for professionals. 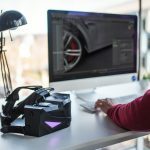 Their new generation high-resolution VR headset platform, the VRHero 5K, is used by clients in the automotive, architecture and training sectors, enabling them to transform their work using VR.